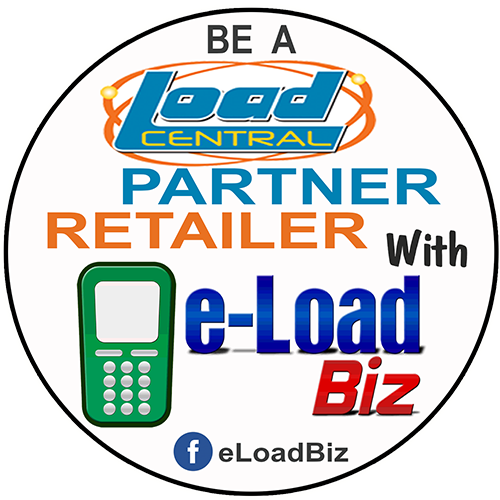 A LoadCentral Retailer is a one-stop reloading station that can sell popular prepaid card products (e-load & Aload, prepaid call cards, prepaid internet cards, online gaming cards, etc.) without having any sort of physical cards in your possession. Retailers can sell prepaid airtime credits via mobile phone or PCs with internet connection. Earn extra income for those who are working full-time/part-time, students, housewives and ideal for internet cafes and sari-sari stores for additional income. You can Earn too by simply selling over 70 popular prepaid products and other products via SMS or via Internet. 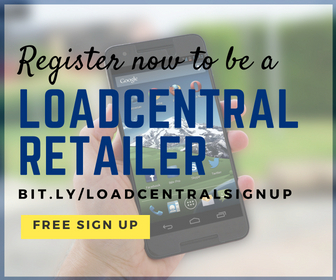 You can start your own e-loading business with a very minimal start-up capital. You can load yourself and family or loved ones with a Discount and Save, anytime and anywhere! You can tell to your family or loved ones near you so that they too can have their load without going outside of your house. System-generated sales transaction report. No need to manually list down all sales if selling is done using the web tool. For those using SMS owners can check list done by their staff accessing it thru the net anywhere. Security – In case of loss of phone or sim, your money is still safe in the Loadcentral system. Earn – You can access Smart, Globe, Sun, Red Mobile, Internet cards, Online Games, Bayantel Cards and many more. Comfortability – You can Load Yourself or Anyone, Anytime anywhere. You can load and sell to all networks.